Amber is a natural material, whose main properties (color, shape, size, inclusions) are unique for each piece. Therefore, while acquiring jewelry and decorative objects, you should be aware that amber articles may differ from the sample. This pendant is an author’s work. Its design combines the simplicity of form with the refinement of taste. 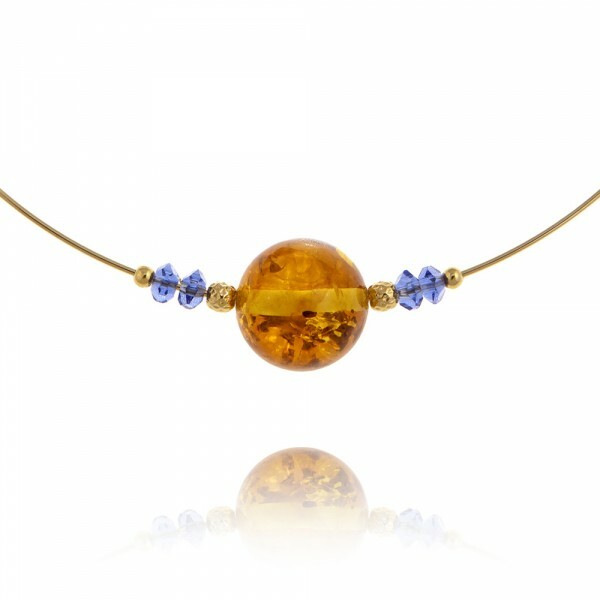 The central piece is a simple polished amber ball placed on a thin gold colour hoop. However, the shade and intrusions of the amber create a unique design. 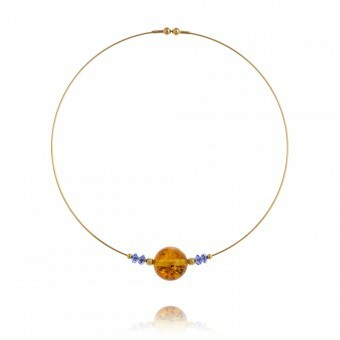 The pendant seems to be a tiny sun that will warm you in gloomy weather. This beautiful decoration will impart inimitable charm to your image.